Feeling good is a choice that takes practice. Download your FREE 30 Page “how to” guide and learn holistic health practices that can easily be integrated into the busiest of schedules. 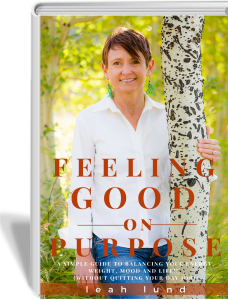 Experience increased energy, stamina and emotional resilience RIGHT NOW and Feel Good On Purpose!